Section 1. The name of this association shall be the Hearing Healthcare Alliance of Ohio. Hereafter to be referred to as “The Alliance”. A. To promote the well-being of the hearing impaired. B. To improve the professional standards of the Hearing Health Care Professionals of Ohio. Section 1. A. Membership of the Alliance shall be comprised of the following categories, FULL MEMBER, ASSOCIATE MEMBER, SUSTAINING MEMBER. B. FULL MEMBER – A Hearing Instrument Specialist or Audiologist who is engaged in or is employed by an individual, partnership or corporation engaged in the selecting, selling, fitting and servicing of hearing aids and accessories on a retail level, and maintains an established place of business, and who meets the qualifications to render properly these services as set forth in the By-laws of this Alliance, may be eligible to become a Full Member of this Alliance. C. ASSOCIATE MEMBER – Non-licensed office staff personel, a hearing instrument specialist trainee not yet licensed under ORC 4747.05. An Audiology student who is not yet licensed under ORC 4753.06. Such Associate Member shall have no voting privileges nor hold office, but may serve on committees of the Alliance. 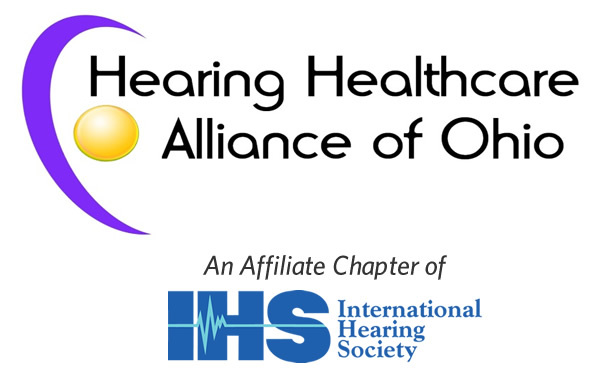 D. SUSTAINING MEMBER - An individual or company that embraces the intent and spirit of the Hearing Healthcare Alliance of Ohio and who wishes to financially support the organization. Such members shall have no voting privileges nor hold office. Section 2. One vote shall be assigned to each Full Member. Section 3. The vote of each Full Member shall be cast by the Full Member. In the event of absence, he/she may submit a written proxy to be cast by any other Full Member or Associate Member of his/her choice, provided that such vote may be the only proxy vote cast by that Member. Section 4. Membership shall be vested in the individual and shall be nontransferable. Section 5. The Alliance may, on the recommendation of the Board of Trustees as set forth in the By-laws, bestow a variety of honors, such as Honorary Member, Honored Member, Member of Merit and similar, on an individual for out-standing accomplishment in the service to the hearing impaired or for great services in advancing the stature of this Alliance. Section 6. The amount of dues shall be set forth in the By-laws of The Alliance. Section 7. The voting procedure shall be set forth in the By-laws of The Alliance. Section 8. The Board of Trustees, or a committee created by them for such purpose, shall examine whatever proof is necessary to establish eligibility of all applicants for membership. Section 1. This Alliance shall hold a meeting, called the Annual Meeting, once during the calendar year, as directed by the Board of Trustees. Section 2. The time and place for all meetings shall be set by the Board of Trustees. Section 3. Special Meetings of The Alliance may be called by the Board of Trustees at a time and place designated by them. Section 4. The Board of Trustees shall be required to call a special Meeting of The Alliance at the written request of 10% of the Full Members of The Alliance. Section 1. The Board of Trustees shall consist of the four officers of The Alliance and four Trustees elected as such. A. The Trustees shall take general charge of the affairs of The Alliance. B. They shall approve all bills and expenditures and designate a depository of the funds of The Alliance. C. They shall approve all committee appointments made by the President. D. They shall arrange for meetings and set dates for same. E. They shall arrange for programs and meetings. F. They shall call special meetings for The Alliance as provided for under Section 4 of Article lV of this Constitution. A. Regular Annual Meetings of the Board of Trustees shall precede the Annual Meeting of The Alliance. Dues for the next calendar year will be set at this time. B. Special meetings of the Board of Trustees shall be convened at the call of the President. A meeting may be conducted by electronic means providing that the following by-law rules are fulfilled: Article IV,Section2 and Article VII, Section 3. The secretary, or designated substitute, shall keep minutes in accordance to Constitution, Article VII, Section 3. The President shall be required to call a Special Meeting of the Board of Trustees at the request of four members of the Board of Trustees. Section 1. The Officers of The Alliance shall be the President, Vice President, Secretary and Treasurer. They shall be elected at the appropriate Annual Meeting for two year terms of office. The President shall be limited to two consecutive elected terms. Section 2. At the Annual Meeting held by The Alliance, two Trustees shall be elected to serve a term of two years. Section 3. The Officers and Trustees shall take office immediately upon their election and hold office until their successors are elected or appointed. Section 4. An Officer or Trustee may be removed from office by a majority vote of the Board of Trustees or by a two-thirds vote of the Membership of The Alliance. Section 1. The President shall preside at all Meetings of The Alliance and of the Board of Trustees and sign records thereof and perform generally all the duties usually performed by Presidents of like associations and such other and further duties as shall be required from time to time by the Members and/or Board of Trustees. The President shall vote only to decide a deadlock issue. Section 2. The Vice President shall perform all the duties of the President in case of the absence or disability of the latter. Section 3. The Secretary shall keep minutes of all proceedings of this Alliance and its Board of Trustees and make proper record of same which shall be attested by him/her and generally perform such duties as may be required by the Board of Trustees. On the expiration of the Secretary's term of office he/she shall surrender to his/her successor or to the Board of Trustees all records, files and property of The Alliance. Section 4. The Treasurer shall receive and have responsibility for all money and securities belonging to this Alliance. He/she shall disburse the funds or otherwise deal with the property of The Alliance as shall be ordered by the Board of Trustees. A. The funds of The Alliance shall be withdrawn from the bank account upon the signature of the Treasurer, cosigned with the signature of the President. In the event that either is indisposed, a co-signature of a designated Officer shall suffice. B. He/she shall generally perform such duties as may be required by the Board of Trustees. C. On the expiration of the Treasurer's term of office he/she shall surrender to his/her successor or the Board of Trustees all money, records, and property of The Alliance. Section 5. Past President shall serve as an advisor on the board and have no voting priviledges. Section 1. In the event a vacancy should occur of an Office or Trusteeship due to removal, resignation, illness, death or discontinuance in the Hearing Health Care practice, the Board of Trustees shall elect a Full Member to serve the unexpired term for said Office or Trusteeship. Section 1. By-laws for the transaction of business of The Alliance may be adopted, revoked or amended at any time by a majority affirmative vote of the Full Members of good standing at a regular or special meeting of The Alliance provided there is a quorum present. Section 1. Amendments to this Constitution may be made by a majority vote of those present, provided there is a quorum present, at any regular meeting or any special meeting of The Alliance and provided that notice of such proposed amendment is mailed to each Full Member of The Alliance at least thirty days before said meeting. 1. Equipped properly to render such services as testing, fitting, providing and servicing of hearing aids on a retail level. 2. Must sign a pledge to abide by the Code of Ethics of the Hearing Healthcare Alliance of Ohio. 3. Can be reached or make satisfactory arrangements for clients to obtain service. 4. Derives a major or substantial part of his/her income from selecting, providing, fitting and servicing of hearing aids and is available for such at regular hours of business. 5. Must hold a valid license to dispense hearing aids in the state of Ohio. 1. A person having met the requirements of the State of Ohio hearing aid dealers and fitters licensing board as a trainee, or an audiology student having met the requirements of the Ohio Board of Speech-Language Pathology & Audiology. Office staff and support personel are welcome to the alliance as an associate member. 1. A Sustaining Member must be an individual or company with good character who wishes to support the Hearing Healthcare Alliance of Ohio. Section 2. A person meeting the requirements for Full Membership or Associate Membership or Sustaining Membership may apply for membership - Full or Associate - in this Alliance by submitting a request for same to the Secretary in writing. Section 3. Any Member whose dues and/or assessment are in arrears for more than three months may be expelled from The Alliance upon the order of the Board of Trustees. Section 4. In addition to the pledge in Article 1 Section A2, all Members of The Alliance shall agree to abide by all Rules and Regulations of The Alliance. Section 5. The Board of Trustees shall have full authority to suspend or to expel any Member from Membership in The Alliance for cause. Cause may be, but not limited to, loss of State License. Such suspended or expelled Member may appeal to The Alliance for the action taken by the Board of Trustees and have it voted on by the Membership in a regular meeting. A. “Honorary Member” to be awarded to persons other than Hearing Health Care Providers whom the Board of Trustees may deem worthy to receive such honor for outstanding service benefiting the hearing impaired or for such services, accomplishments or actions advancing the stature or the objectives of The Alliance. Such “Honorary Member” shall pay no dues or assessments and shall have no voting privileges, but shall receive the mailings of The Alliance. B. “Honored Member” or “Honored Life Member” to be awarded to Members of this Alliance the Board of Trustees deems worthy to honor for outstanding service to the hearing impaired or exemplary advancement of the stature of the Hearing Health Care Providers or for the eminent and exceptional service to this Alliance. Persons so honored shall retain all rights and obligations of regular membership so long as they qualify for such. Upon retirement or separation from practice, persons so honored shall retain such titles. They shall then pay no dues or assessments and shall have no voting privileges, but shall receive the mailings of The Alliance. C. “Member of Merit” to be awarded to Members or former Members of this Alliance who through long years have shown loyal support, exemplary devotion or meritorious service to The Alliance and whom the Board of Trustees deems worthy to so honor upon retirement from practice or upon leave of absence for worthy cause. Persons so honored shall pay no dues or assessments, shall have no voting privileges, but shall receive the mailings of The Alliance and shall have the privilege to reactivate their voting membership without payment of retroactive dues provided they qualify otherwise under Article 1, Section 1 of the By-laws. Section 1. The annual dues for this Alliance shall be an amount approved by the majority vote of the Alliance Board of Trustees. The dues shall be payable for the calendar year beginning January 1 and ending December 31. Section 2. The annual dues for Associate Members shall be an amount approved by the majority vote of the Alliance Board of Trustees. Section 3. An annual donation from Sustaining Members shall be at the discretion of the individual or company. Section 4. The Board of Trustees, by majority vote, shall have the authority to reduce the dues, for a period not to exceed 90 days, for the purpose of increasing membership in The Alliance. Section 5. The dues shall be payable for the calendar year beginning January 1 and ending December 31. A late fee, an amount approved by the Alliance Board of Trustees shall apply to Full Members and Associate Members in arrears as of March 1. Section 1. At the Annual Meeting held in the Spring of each year, the election of the appropriate Officers and Trustees shall be held. Section 2. At the Annual Meeting, the President shall appoint a nominating chairperson and/or committee to make nominations for the appropriate Officers and Trustees to be elected at the following annual Meeting. Nominations for such office and the Trustees may be made from the floor by the Members. The nominator may give a brief statement of the nominee's qualifications. Section 3. The voting for Officers and Trustees shall be by the secret ballot in the order of President, Vice President, Secretary, Treasurer and Trustee. Defeated candidates for each office may be nominated for any office not yet voted upon. Section 4. The candidate receiving the highest vote for each office shall be declared elected to that office. Section 5. Any Officer or Trustee may be removed, with cause, by the persons authorized to elect or appoint, without prejudice to the rights of such Officer or Trustee. A. The election or appointment of an Officer or Trustee for a given term shall not be deemed to create contract rights. B. Such removed Officer of Trustee may appeal to The Alliance for the action taken. Section 1. A quorum for The Alliance to conduct a business meeting shall be twenty Members. Section 2. A quorum for the Board of Trustees to conduct business shall be five Members. Section 1. All business meetings of The Alliance shall be conducted in accordance with Robert's Rules of Order, except when Robert's Rules of Order conflict with the Constitution. A. Each Full Member shall be issued a Membership card. B. Each Associate Member shall be issued a Membership card. Section 2. Any Full or Associate Member casting the vote of an absent Full Member shall present the proxy to the Secretary prior to the business meeting. A. Proxy cards will be mailed to all Members of The Alliance with the notice of regular business meetings. Section 3. All voting or elections shall be by a show of hands, unless a Full Member calls for a secret ballot. Section 1. Notice of all Alliance meetings shall be sent to all Members by the Secretary thirty days in advance of the meeting. Section 2. Notice of all special meetings of The Alliance shall be sent to all Members by the Secretary ten days in advance of the meeting. Section 3. The Board of Trustees shall be notified at least five days in advance of the meeting except when, in the judgment of the President, an emergency is at hand and time is of the essence. In such an event, the President shall arrange a meeting of the Board of Trustees as soon as possible. Section 1. The various activities of The Alliance may be handled from time to time by standing or special committee. The chairperson or the entire committee shall be appointed by the President, with approval of the Board of Trustees. In the event the President does not appoint the entire committee, the chairperson shall appoint the additional Members of the committee as he/she deems necessary with the approval of the Board of Trustees. Section 1. The Board of Trustees shall hear any complaints concerning members of The Alliance which may be referred to it. Section 2. All complaints addressed to The Alliance shall be in writing. Each complaint must be signed by the party making it. After receipt of a complaint, a preliminary determination shall be made as to whether there is reason to believe the acts and omissions complained about did occur and as to whether such acts and omissions constitute an actionable grievance. Section 3. If such determination is affirmative, the individual against whom the complaint was made shall be notified about the nature of the complaint by certified, return receipt mail to the member's last known address and the complaint shall be referred to the Grievance Committee. A. Shall examine and investigate the charges and request and compile information, evidence and explanation from the parties involved. B. May request the complainant and respondent, or afford the opportunity to either, to appear before it to facilitate its duties under Section 4. A.
C. May work out a satisfactory resolution to the problem among the parties involved. D. May request the respondent to cease and desist from further acts of the nature specified in the complaint and accept a written statement of compliance to that effect. E. Shall present to the Board of Trustees the findings of its investigation together with its recommendations. Section 5. The individual complained against shall have the right to a hearing-if one was not already so ordered-before the Board of Trustees, upon request, to contend the charges against him/her. Section 6. The Board of Trustees may order a hearing on the complaint and request the complainant, the respondent or both to appear before it to present further testimony or information to enable it to decide the matter. B. Suspend the Member for a period not exceeding one year. Section 8. Failure by Member to appear before the Board of Trustees, if so ordered in connection with a complaint, may constitute grounds for reprimand, suspension or expulsion. Section 9. A Member has the right to appeal the decision of the Board of Trustees as set forth in Article 1. Section 5 of the By-laws. Section 10. All Members shall be deemed to have agreed to the decisions of the Grievance Committee, or in the case of an appeal, The Alliance's Membership, as being final for all purposes and not to bring any action or seek recourse before any other administrative or judicial forum or body on account of any action taken by the Grievance Committee or Alliance Membership. If a member does not wish to participate in a hearing as established in Section 5 herein, written notice of such election must be sent to the Secretary before the scheduled date of the hearing, in which case the hearing will not be held and the recommendation of the Board of Trustees shall stand and be implemented without a right of appeal. Section 11. If a Member wishes to resign prior to a hearing, it is the member's right. Section 12. Neither the Board of Trustees, the Grievance Committee nor any of the Alliance Members, Officers or employees of the Alliance shall be liable for decisions rendered or put into effect as provided for in these By-laws, nor for any action pertaining to the same. Rule 1. Members of this Alliance shall use no advertising which has the effect of misleading the public as to their services, guarantees, product or result to be obtained from the use of such product. Rule 2. All statements and claims shall be accurate and truthful in every detail. No advertisement shall contain statements unless reasonable and proper proof of their truth can be shown to the Board of Trustees. Rule 3. No advertisement shall lead to the impression or conclusion that the instrument, device, feature or service is of different nature than it actually is. Rule 4. No company or its representative shall advertise or state that they can diagnose, treat or cure ear ailments other than compensating hearing loss by means of a hearing aid. Rule 5. Hearing aids must be available for sale as advertised and obtainable at the price and terms quoted. Used hearing aids should be advertised as such and should be identified as to the respective makes and models of aids available for sale. Rule 6. Members shall not imitate the advertising, trade mark, name or labels of any other Member. Rule 7. Advertising offering such as allowances or special prices shall clearly state details of offer and identify merchandise. Rule 1. No Member shall make excessive claims for performance, economy, instrument and/or battery life, or other matters, nor shall superlative adjectives be used unless they can show positive proof to the Board of Trustees. Rule 1. No Member shall refer to any competitor's product or service in any unfair or disparaging manner either in advertising or verbally, or in any other way. Rule 1. No Member shall represent himself/herself as being in the employ of a competitor or in the employ of any other firm, institution, or person for the purpose of inducing a sale. Rule 1. No Member or individuals employed by a Member shall in connection with the fitting and sale of hearing aids use, display, or advertise titles, degrees, diplomas, certificates or memberships for which such Member does not possess a legitimate and recognized degree, certification, license or valid membership. Rule 1. No Member shall induce the breaking of a contract then existing with any other dealer, or interfere in any way with the performance of such contract. Rule 1. No Member shall indulge directly or indirectly in commercial bribery.